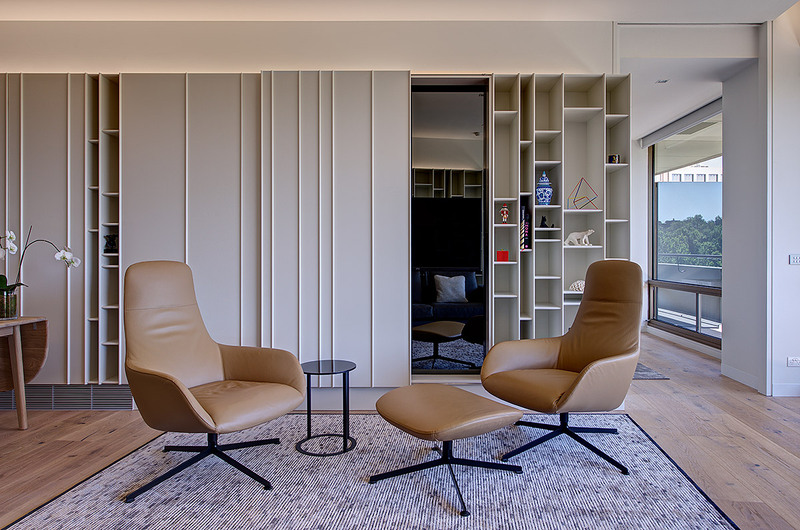 This smart contemporary apartment was achieved after a full refurbishment to suit the lifestyle of an older couple. The layout and the new façade treatment celebrate the excellent views towards the cityscape, the Shrine of Remembrance and The King’s Domain. 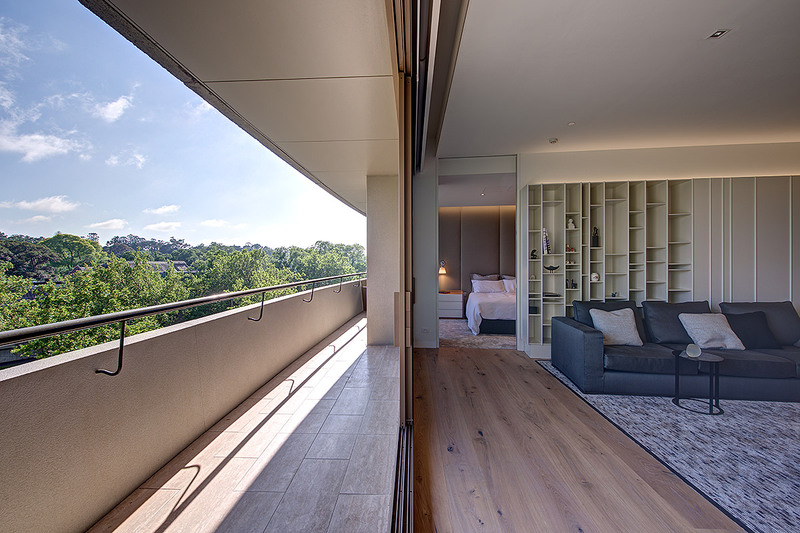 Full-height and fully recessed sliding door panels are used to open up and transform the various rooms. 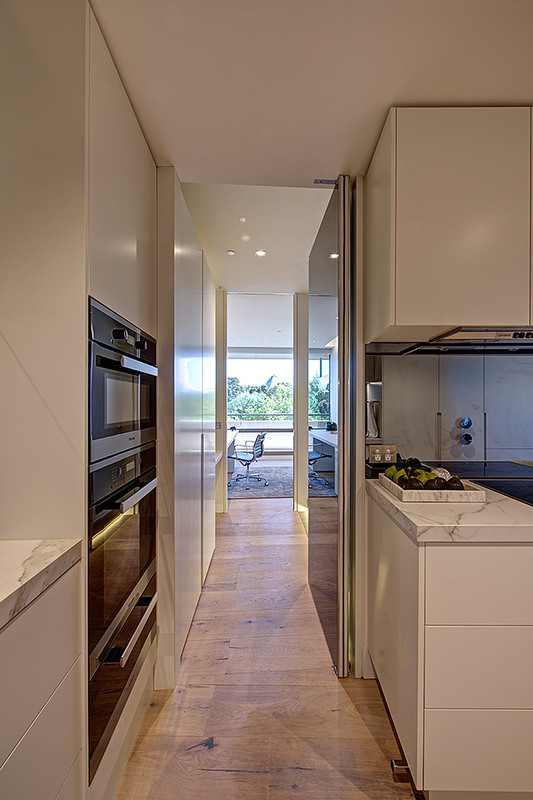 Dark mirror surfaces were introduced to reflect and heighten the verdant outlook. 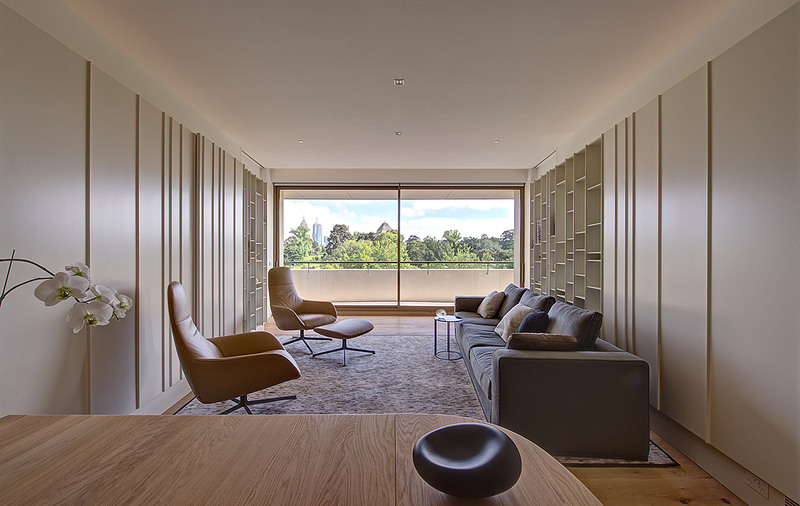 The dominant garden and skyline views from the apartment influence the planning direction of the design of this carefully crafted living space.